Tramworks is a new, stylish property with a sociable atmosphere. The property is located in the west end, close to the city centre. From Tramworks, you can walk less than 20 minutes to class at both Glasgow University Campus and Glasgow International College. At Tramworks, you can take your pick between stylish homes ranging from classic accessible en-suite and premium range 1 studio. 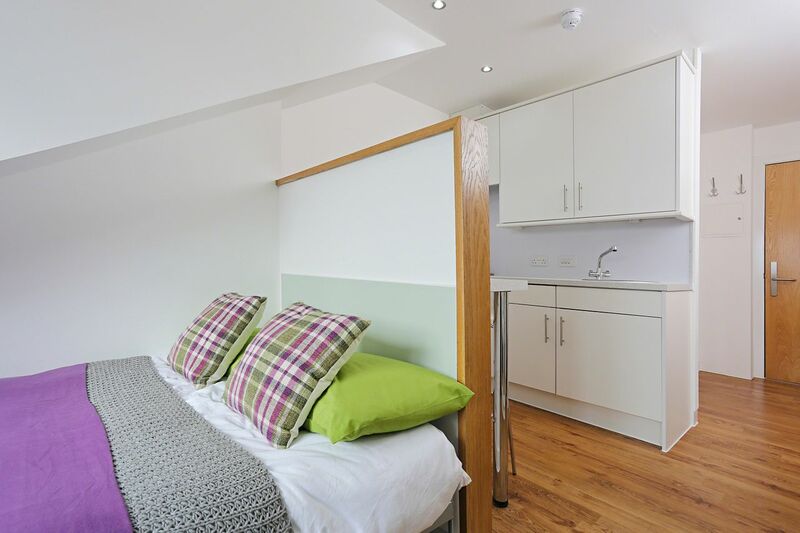 En-suite rooms are packed with features such as a private bathroom, a comfortable three-quarter sized bed, your own desk and Wi-Fi connected work space, offering an ideal environment for your studies. A shared lounge and fully fitted kitchen area is ready for you to relax in with your flat mates. You’ll also find plenty of room for your belongings with a large wardrobe under-bed storage space. If you prefer to live independently, the fully equipped studios are perfect for both relaxing and studying. You will enjoy cooking, studying and entertaining in a modern kitchen area with enough space. 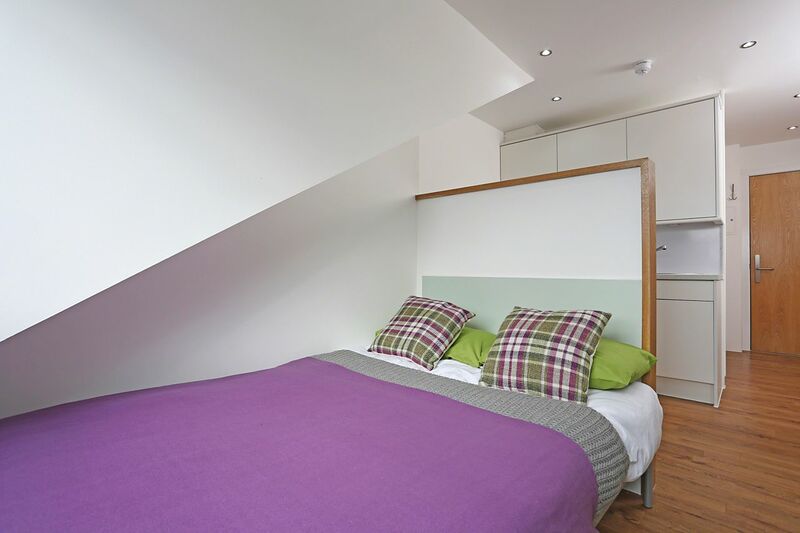 Studio rooms are fitted with a three-quarter sized bed and separate en-suite shower room with sink and toilet. There are plenty of storage space under your bed in addition to a wardrobe, drawers and shelves. So studios are extremely suitable for people who like their own space, or looking for minimal interruptions during their studies. As a resident, you can also use an on-site gym, common room, study room, large outdoor courtyard and parking. There’s 24/7 on-site security service teams and emergency contact centre at Tramworks for your peace of mind. You’ll also get access to communal laundry facilities as well as free contents insurance, so you won’t have anything to worry about with your belongings. If you have any problems, the on-site property teams will be happy to provide help. We couldn't find a room that matches your preferencesView all Private Room in Tramworks. We couldn't find a room that matches your preferencesView all Entire Place in Tramworks.